Easter is the oldest Christian festival and it has grown in popularity beyond its religious context. The exact days of the celebration vary from year to year depending on the lunar cycle, but the themes and style of celebration remain largely the same. Australia’s version of Easter, however, is unusual due to our Southern Hemisphere location. Most Christians in the world celebrate themes of resurrection and new life at the onset of spring, but for us Easter falls at the beginning of Easter. Australians though, are nothing if not adaptable and traditionally Christians down under have celebrated the beginning of the autumnal harvest period. Perhaps it is why we have a tendency to eat and drink so much at Easter! This will certainly be the case at Harbour Kitchen, where food and beverages are always a significant part of our event hire experience. Due to its history and the themes associated with the celebration, Easter has also become a time of year in which we reflect on what we have accomplished to date, what we could improve on and what we can do to achieve more. Just as we reflect and reassess as individuals, Harbour Kitchen also likes to do so collectively, as a team. 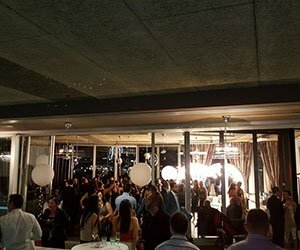 We are always striving to be the best event hire providers in Melbourne and Easter is another opportunity to prove our dedication to all things related to food, functions and fun. If you want your Easter to be extra special, get in touch with the team at Harbour Kitchen for an unforgettable Easter.